Business and Entreprenuership – Page 3 – Business: Engaged! Network Marketing: Should It Be Part of Your 21st-Century Business Model? 25-year network marketing veteran Linda Gracy joins Carrie on this episode of Business: Engaged! She talks about network marketing and shares her insights about who is successful in the industry and why. It is what Robert Kiyosaki, author of Rich Dad, Poor Dad calls the business of the 21st century. You might be familiar with brands like Amway, Mary Kay, and Tupperware. But what do you know about the changes in the industry that were made possible by the Internet and social media? This isn’t your grandma’s multi-level marketing organization anymore. There are more choices than ever and most don’t involve taking up any space in your home unless you just want a home office. You’d be surprised to know that some network marketing products are the perfect complement to your current business and can provide a significant additional revenue stream. Sometimes, it is the perfect next step when someone wants to sell their existing business and change directions. On this episode of Business: Engaged!, I talk with 25-year network marketing veteran Linda Gracy of Diversified Enterprises. We talk about changes in the industry and who is successful and why. This episode might change your view of the network marketing industry — for the good! You can visit Linda’s website at www.EasyMLMProsperity.com to learn more about her company. Check in also for the seventh update on my city council campaign in Rogers, Arkansas. This week’s update is about determining the proper time to move from the strategy phase of a project to the tactical phase so you can move forward to execution. To keep up with my campaign, you can visit my blog at www.carrie4rogers.com. On this episode of Business: Engaged!, Jackie Wolven explains when and how to use social media tools as well as the tried and true marketing tools like newspaper and yellow pages advertising. It seems like almost every problem with a small business owner’s bottom line can be tied to the ability to market the company’s products and services. But how do we choose which tools to use? The Internet has brought us so many new marketing tools. Instead of empowering and equipping us, we often find ourselves paralyzed when we try to make a decision, or worse, spending too much on marketing. On this episode of Business: Engaged!, Jackie Wolven of Moxie, a marketing and public relations company joins us. We talk over when and how to use social media tools like Facebook and Pinterest, as well as text message marketing and Groupon. She even talks about the tried and true marketing tools like newspaper, yellow pages advertising, and sponsorships. Her business is also proof that you can run a worldwide business from a small tourist town in the Ozark Mountains. 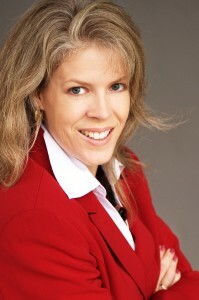 You can visit Jackie’s website at www.moxieworks.net to learn more about her company and the clients she serves. Check in also for the sixth update on my city council campaign in Rogers, Arkansas. This week’s update is about equipping our network connections with the information they need to tell people in their network about you. To keep up with my campaign, you can visit my blog at www.carrie4rogers.com. On this episode of Business: Engaged!, Steve Joseph talks about what employers need to know about workplace injury prevention and treatment. No workplace is immune to the potential of an employee injury. On this episode of Business: Engaged!, I talk with Steve Joseph LPT of Maximum Performance Spine Sports and Physical Therapy about preventing and addressing workplace injuries. 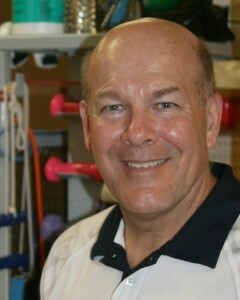 As a licensed physical therapist, he has helped all kinds of patients whether they were injured at home, play, or work or he is providing post-surgery therapy. We discuss the role that Workers’ Compensation plays in workplace injuries and creating a system where injuries are reported quickly. He also explains how important it is to create a culture of fitness in a workplace because fit people are less likely to be injured. Click here to learn more about Steve’s company. Check in for the third update on my city council campaign in Rogers, Arkansas. This week’s update is about the progress we’re making as a productive campaign team and insights regarding my marketing strategy. I’m not an experienced candidate (yet!) but I see so many key lessons that I’ll use in my business practices. I bet you will too. To keep up with my campaign, you can visit my blog at www.carrie4rogers.com. 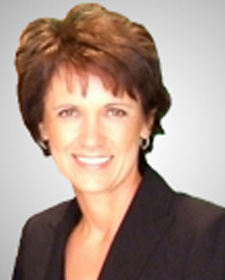 Jan McCormick of Job Lingo joins Carrie on Business: Engaged! Jan shares insider secrets of the recruiting process. Lots of great tips for both recruiters and job searchers. If you’ve hired anyone — or heaven forbid looked for a job yourself — in the last few years, you know the recruiting game has changed. On this episode of Business: Engaged!, Jan McCormick Ed D of Job Lingo talks about how and why we make our recruiting decisions. There are plenty of tips in this episode for hiring managers and job searchers alike. She even talks about hiring people who have a few dings on their record that are looking for a second chance. Click here to learn more about Jan’s company, Job Lingo. I’ve included the second update on my city council campaign in Rogers, Arkansas. The campaign team has just started meeting face to face and now we’ll travel the path to Election Day together. It’s been awhile since I’ve worked with a brand new team. I forgot how the natural process of team development takes place. Repeat after me: forming, storming, norming, and if we survive it, performing. I explain the process in this episode. To keep up with my campaign, you can visit my blog at http:// www.carrie4rogers.com. Carrie Perrien Smith, author of Currency: Striking Networking Gold in a Relationship Economy gives techniques for communicating effectively on this episode of Business: Engaged! When you relate to others the right way, you can get what you want, need, and deserve. We talk about the importance of getting face-to-face and engaging in two-way, one-on-one conversations with the people in our life. I throw down the 2-10 Challenge — engage in two 10-minute meaningful conversations each day to change your life. It’ll provide the fuel for your road to success. Wondering what you’ll talk about during those conversations? Wonder no more. I give you five questions that can work in almost any conversation. And when you ask those questions, you’ll get valuable feedback. We discuss how to get the most out of it. I’m running for city council in Rogers, Arkansas, where I live. Who knew that I would find my role as candidate to be such fertile ground for learning important business principles? There are so many key lessons as I travel this path for the next three months to Election Day. I just have to share the experience. So check in for my first campaign update and visit my campaign blog at www.carrie4rogers.com. Timing is everything. On this episode of Business: Engaged!, retired business owner Wayne Simpson talks about watching for signs that it is time to make business changes. You know those times that you wish you had your camera because you would have taken a picture of a moment that might never happen again? I feel the same way about recording interviews. Thanks to technology, I can always whip out my smartphone and take a photo or record an interview. This week’s show is about understanding the decisions you must make about the lifespan of your business. And being an entrepreneur in the technology age means that advances can affect your business — for better or worse. 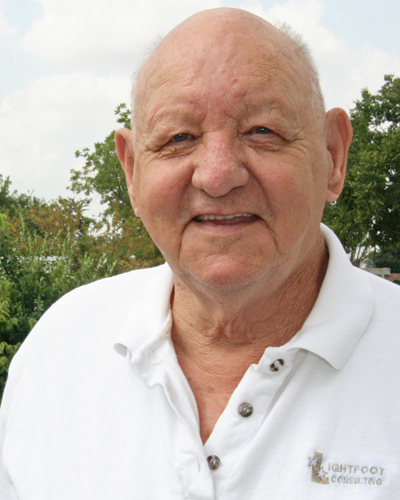 My dad, Wayne Simpson, is my guest on this episode of Business: Engaged! He owned a computer service company when home computers were fictional creatures. He rode the wave from the height of the mainframe age to the personal computer revolution. It’s a kitchen-table conversation about how he knew when to make the jump from his full-time job to self-employment and the decision to close his business. Plus, we talk about marketing then and now. And because technology has advanced the marketing options available, we dig into that topic as well. Then, just like today, the referral is the best and least-expensive way to market your business. Ethan Lightfoot shares his insights about creating safe workplaces in this episode of Business: Engaged! Safe workplaces aren’t just for warehouses and manufacturing facilities. The Occupational Safety and Health Administration (OSHA) is chartered with ensuring that companies throughout the United States are working to keep employees safe. A surprise OSHA visit to a business that is violating safety standards and endangering employees can result in thousands of dollars in fines. Our guest on this episode is Ethan Lightfoot of Lightfoot Consulting. Ethan is an authorized OSHA outreach trainer. He works with companies who want to create safe workplaces. He shares important information about OSHA and correcting unsafe work practices. Visit the OSHA.gov website. You’ll find a wealth of information plus worksheets and other tools to help you ensure that your workplace is safe. 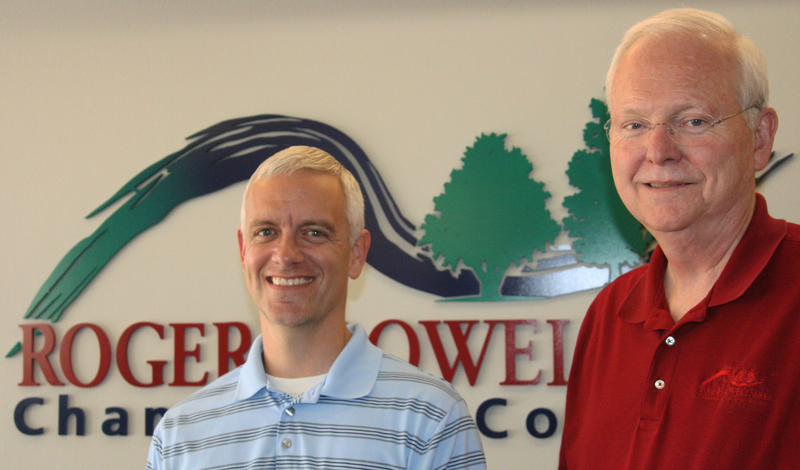 Raymond Burns and Michael Lindsey of the Rogers-Lowell Area Chamber of Commerce in Rogers, Arkansas share the important details of the work a chamber of commerce does in this episode of Business: Engaged! They also discuss the current legislation in the works that directly affects small businesses. A chamber of commerce is often the first place a business connects in a community. However, they do more than host networking groups and send out welcome packets. How much do you know about what they do? In this episode of Business: Engaged!, we talk with Raymond Burns and Michael Lindsey of the Rogers-Lowell Area Chamber of Commerce in Rogers, Arkansas. They explain what a chamber of commerce does and how membership can benefit a business. One important role that a chamber of commerce serves is influencing legislation that affects economic development and business regulation. They’ll update us on what members are saying and how lawmakers are responding. Episode airs on Thursday, August 15, 2013 at 2:30 p.m. CST. This is an encore presentation of Episode 12. The episode aired originally July 9, 2012.